Phrenology was the most popular mental science of the Victorian age. From American senators to Indian social reformers, this new mental science found supporters around the globe. Materials of the Mind tells the story of how phrenology changed the world—and how the world changed phrenology. This is a story of skulls from the Arctic, plaster casts from Haiti, books from Bengal, and letters from the Pacific. 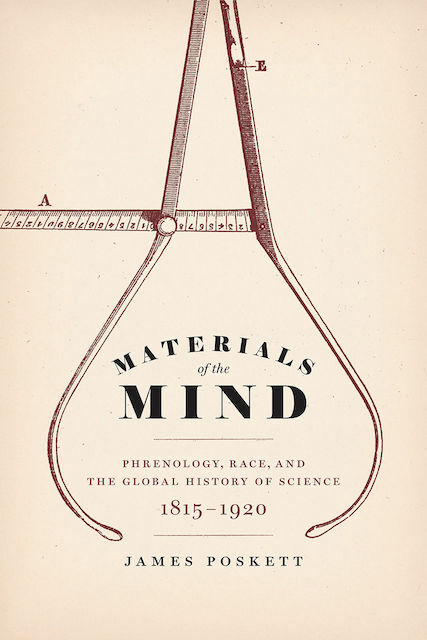 Drawing on far-flung museum and archival collections, and addressing sources in six different languages, Materials of the Mind is an impressively innovative account of science in the nineteenth century as part of global history. It shows how the circulation of material culture underpinned the emergence of a new materialist philosophy of the mind, while also demonstrating how a global approach to history can help us reassess issues such as race, technology, and politics today. For a full list of my academic publications, please see my faculty page at the University of Warwick.